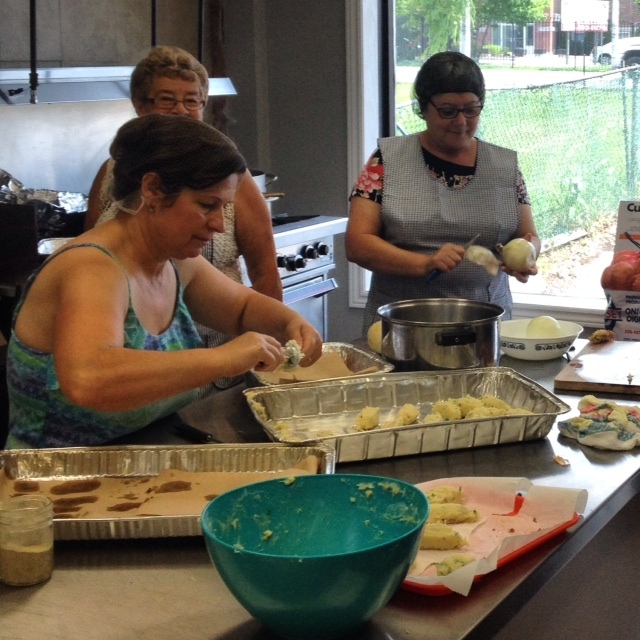 The moms, aunties and grandmothers of the Oshawa Portuguese Club prepare bacalao cakes for the evening meal. I am completely stuffed. For $12 we just indulged in a lunch for two of homemade cabbage rolls, pierogies, and coleslaw salad. 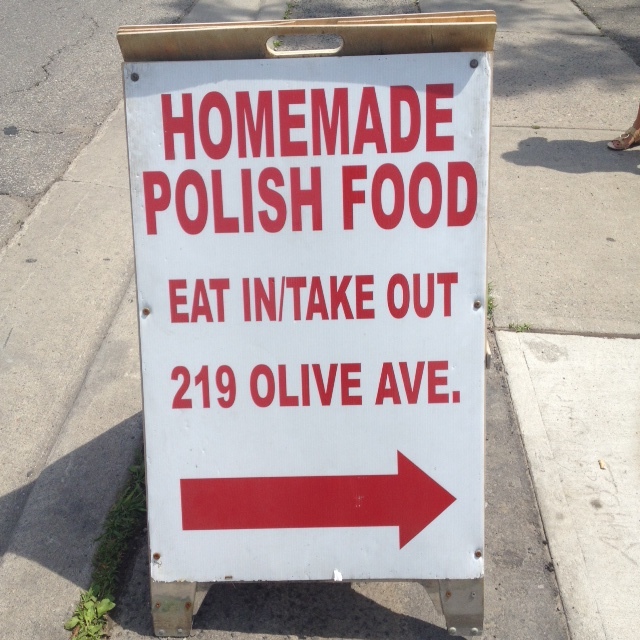 When I left the Poznan Pavilion with my Polish meal of starchy-goodness, the line went up the stairs and out the door. There was an air of excitement in the room and on the sidewalk outside. Not what you’d expect to find in this old residential neighbourhood of south Oshawa, tucked away on Olive Avenue. But this is Fiesta Week, and it only comes once a year. It’s kind of like Christmas for lovers of global culture and traditional home cooking. I’m lucky. It was actually my second pavilion visit in 15 minutes. I was first lured into the Oshawa Portuguese Club on Simcoe Street South by the wonderful scent of. . . I don’t know, but it was good! They weren’t serving lunch, so instead I got to visit with the crew of women busily making bacalao cakes (a.k.a. cod cakes) in the kitchen. I will return to eat before the week is done! My husband, Wes, grew up in Oshawa. When I asked him if Fiesta Week was a big deal when he was a kid. His honest answer was that it was more of a time to go drinking for cheap when he was a teen or home from university. From my point of view as a Toronto-transplant, one of the world’s most multicultural cities, I’ve been missing easy access to global cuisine, and I’m going to get him excited about it in a different way this year. I’m not the only one who seems to think Fiesta Week is a big deal. Fatima, my brief tour-guide at the Portuguese Club, shared with me that there’s been a big surge in visits and excitement about it. Maybe it’s due to the 40th anniversary of the festival. Maybe it’s World Cup Fever. Maybe it’s the general upward trend of interest in global food and home cooked food we’re seeing everywhere from food trucks to television programming.